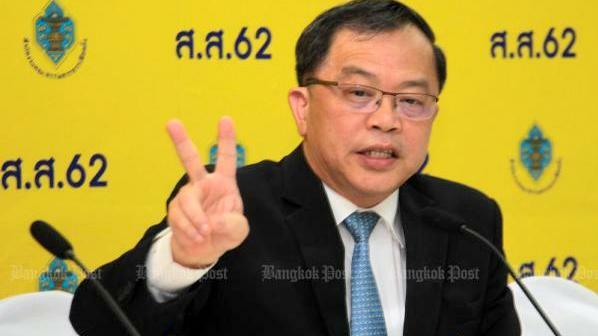 BANGKOK: The Election Commission (EC) on Friday (Mar 29) insisted the differences in numbers related to the vote results announced on Sunday and Thursday were explainable. As the agency on Thursday announced that the total number of eligible voters was 51,239,638 – 34,014 more than the number the EC chairman announced after Sunday's poll – Deputy Secretary-General Krit Urwongse said the announced number was what the polling officials at each polling unit put into the Rapid Report system on the day they retrieved the ballot cards and equipment. On that day, officials at some units could not put their numbers into the system. Meanwhile, the number of used ballot cards announced on Thursday was 4.5 million more than Sunday’s number because the Sunday report came from the Rapid Report on 93% of the vote count. Thursday’s announcement came from 100% of the data which also includes 2.3 million votes in advance voting as well as more than 100,000 ballots used in the advance voting in foreign countries. He insisted the vote counting process at the polling unit and announcement at each unit could also be used to verify the numbers. He added that the reason why the number of those who came to vote (32,268,375) is higher than the number of the ballot cards used multiplied by nine (38,268.366 ballots used), is that there might have been some inaccuracy in counting the number of eligible voters. “On the bright side, it shows the EC did not make up numbers, and the difference of nine does not have any effect on the MP candidates’ vote [results],” he said. Similarly, he said the number of used ballots that turned out to be two more than the sum of the valid, invalid and “no vote” ballots, Mr Krit said some officials might have lost count somewhere among the polling units.